Gotta spread some mono-black love, so +1 from me. Here are my thoughts. This deck seems to be all over the place at the moment, and since I built my first mono-black deck on a budget like this one, I'll give you some tips. If you want to build a midrange/control deck, that is fine. But you need to find better early game cards than stuff like Thornbow Archer. Some of the best budget early game you can get is Gifted Aetherborn, Gatekeeper of Malakir, Kitesail Freebooter, Wrench Mind, etc. These cards are all great and will help make your deck feel more coinsistent if they are in 3-4 ofs. Removal seems to be all over the place, so I'll give you my personal opinion. If it is 3 mana or above and does not kill planeswalkers or has delve, don't play it period. Vraska's Contempt might be great for standard, but is really just too slow for modern. Hero's Downfall is really the only black removal spell that fits all these, and if played, it's really just sideboard material. The rest of your removal should just be Fatal Push and Victim of Night. You really should only have 8 spells solely for removing creatures (ie., not gatekeeper) in the deck. Your creatures need some improvement. 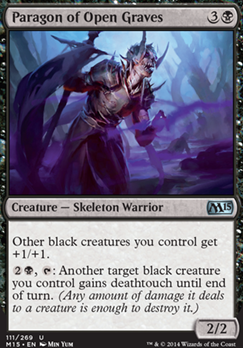 Paragon of Open Graves and Sidisi, Undead Vizier should both be either Gray Merchant of Asphodel or some other game ending threat. 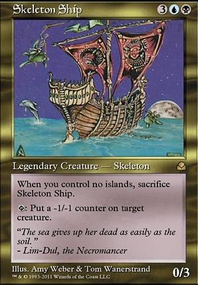 I recommend retooling the deck so your deck has more threatening cards in it. 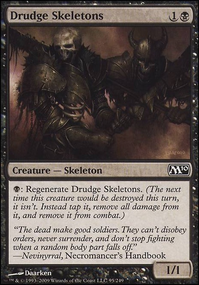 Macabre Waltz and Read the Bones just aren't really strong enough for modern, they just don't do enough by themselves. Duress is sideboard discard for your control matchups. I'd up your lands a smidge, you will likely end up playing 24 as you progress the deck. Lands: Take out 2 Mountains, Stone Quarry, Cinder Barrens, and Forsaken Sanctuary and maybe the Guildgates if you want and add in at least one plains, Haven of the Spirit Dragon, any of the life gain dual lands from Tarkir... just use better duals than the strictly-worse guildgates. I have a personal issue with those lands. They insulted "Avatar the Last Airbender" once. Things to pull: Ancient Hellkite works to slow, requires to much investment, and is too conditional. Forgestoker Dragon cuz it's clunky and slow compared to other things. (A lot of these suggestions will be cutting the worst of duplicate effects). Aegis Angel (above reason)? Wojek Embermage? 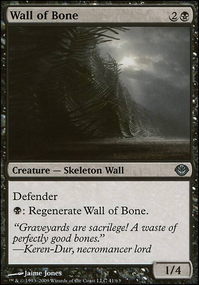 Paragon of Open Graves cuz you don't have enough black to make its ability work. Scalding Salamander is too conditional. Either Vulshok Sorcerer or Blood Cultist. Crossbow Infantry. Stun Sniper. Painsmith because not enough artifacts. Artifacts: That Which Was Taken cuz it's also too slow. Nice looking Zombie Deck!! I've got a couple ideas for you on ways you can make it a more powerful multiplayer deck. 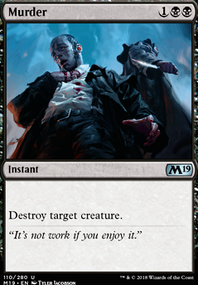 My first recommendation is that unless you are playing mostly 1v1 duels I would just cut all the one use discard spells like duress. Spells like that are technically card disadvantage because if there are four players and you use one card to get rid of one card from one player then compared to the rest of the other players you are down a card also. Discard like that is only extremely powerful against one opponent. It can be good, but they don't really control the game in EDH the way they do in other formats. I would then cut the lilianas caress and waste not too. Also I personally don't like corpseweft & necromancer's stockpile (not enough creatures to use for either) or unbreathing horde (no evasion). Those cards in my experience playing zombie tribal were underwhelming. 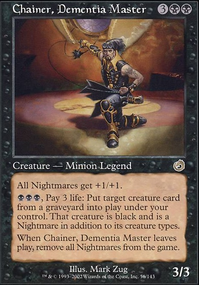 As far as additions there are some more "Lord" effects like Adaptive Automaton, Ascendant Evincar, and Paragon of Open Graves that you can include. Phyrexian Altar and gravecrawler creates an infinite combo, and if you if you have something like Plague Belcher or Vengeful Dead in play in too, it can kill the whole table on the spot or with diregraf colossus it would make infinite zombies. I love Curse of Shallow Graves and Zombie Apocalypse in my zombie deck, they are great tribal cards. Running so many swamps you could go for Extraplanar Lens (although then I would switch to snow covered swamps) Lashwrithe, Nightmare Lash, and Strata Scythe. Larceny is a great repeatable discard effect. Scourge of Nel Toth is a good beater, it keeps coming back and flies. Buried Alive can even fetch it along with gravecrawler and vengeful pharoah. Or Filth with urborg in play for an unblockable horde. Here is a link to my zombie tribal deck, maybe it will have more ideas for you. Even though mine has blue in it there may still be things for you to find. Happy gathering!! +1 for awesome tribe! How about Paragon of Open Graves?